(a) Increase the engine speed to at least 3500 rpm. (b) Use a sound scope to check for injector operating sounds. (c) When the accelerator pedal is released, check that injector operating sounds stop momentarily and then resume. 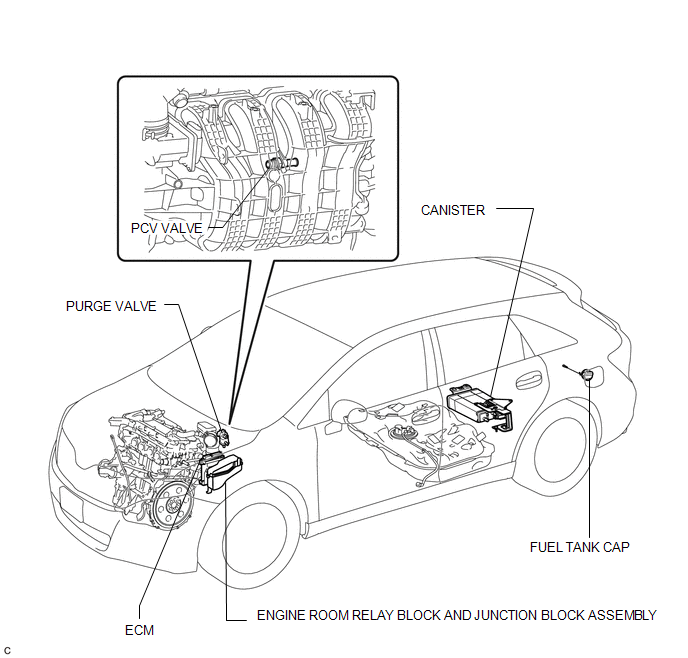 If the result is not as specified, check the injectors, wiring and ECM. 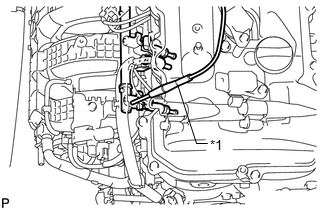 (a) Inspect the hoses and gaskets for scratches, cracks or air/oil leaks from the connecting parts. If the hoses or gaskets are damaged or some of the connections are loose, they may cause an engine stall or malfunction. 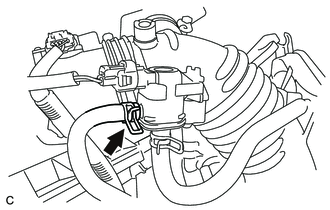 (b) Disconnect the fuel vapor feed hose from the purge VSV shown in the illustration. (d) Enter the following menus: Powertrain / Engine and ECT / Active Test / Activate the VSV for Evap Control. (e) Check that vacuum occurs at the purge VSV port. (f) If vacuum does not occur, check the following items. (g) Exit Active Test mode and reconnect the fuel vapor feed hose. (h) Enter the following menus: Powertrain / Engine and ECT / Data List / EVAP Purge VSV. (i) Warm up the engine and drive the vehicle. (j) Confirm that the purge VSV opens. 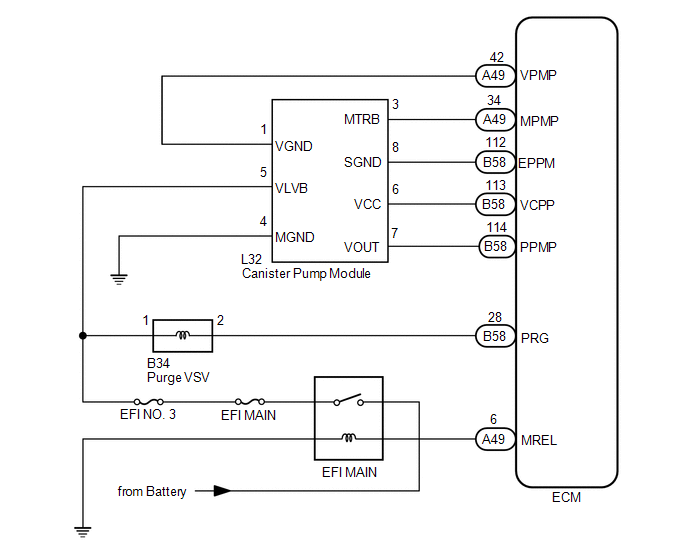 If the result is not as specified, replace the purge VSV, wire harness or ECM. (a) Disconnect the vent line tube from the charcoal canister sub-assembly. (b) Connect a pressure gauge to the vent line tube. 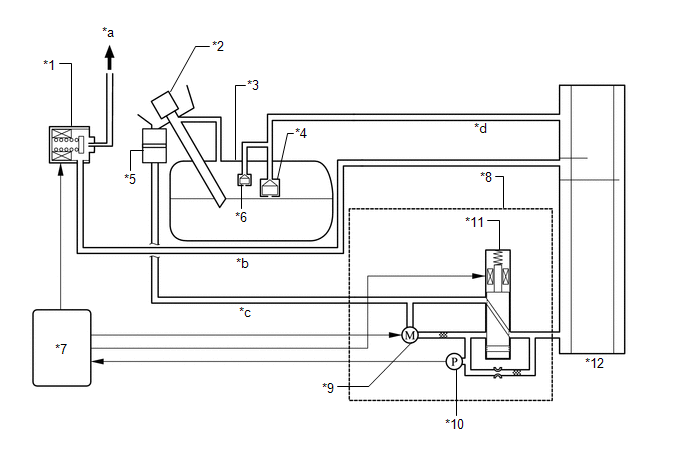 (c) Apply 4 kPa (0.04 kgf/cm2, 0.6 psi) of pressure to the vent line of the fuel tank. Perform this inspection with the fuel tank less than 90% full. When the fuel tank is full, the fuel fill check valve closes and the pressure is released through the 2 mm orifice. As a result, when the fuel tank cap is removed, the pressure does not decrease smoothly. (d) Check that the fuel tank pressure is maintained for some time, and does not decrease immediately. 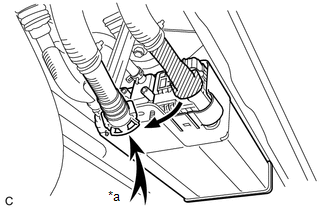 (e) When the fuel tank cap is removed, check that the pressure is released smoothly. (f) Reconnect the vent line tube to the charcoal canister sub-assembly. (a) Disconnect the air line tube from the charcoal canister sub-assembly. (b) Check that air flows freely into the air line. If air does not flow freely into the air line, repair or replace the air line tube. (c) Reconnect the air line tube to the charcoal canister sub-assembly.